I am not sure if it's a State secret, but there is not a lot of information online about what prisoners at San Quentin can call their daily bread. 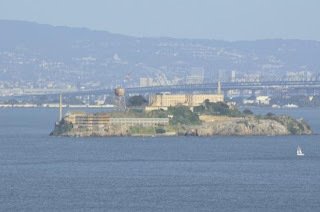 San Quentin T.R.U.S.T. (Teaching Responsibility Utilizing Sociological Training) is a group of 25 inmates who blog about life inside the prison. 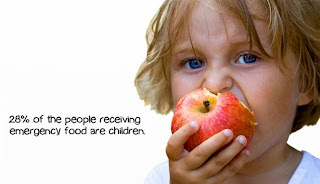 In December, 2012, they wrote about the food sources available to inmates. This blog will paraphrase what the writer of the article described as food that is unhealthy and would not be sold to the general public, but "keeps them alive." The inmates complained about foods that were near their expiration date and contained trans fats which of course are foods the public eats without complaint. The article states that breakfast and lunch are "palatable," but since 1999 dinners are not. The prisoners estimate, based on economies of scale and self preparation, that the prison spends $1.50 per day per prisoner on food. Another source, Beth Waitkus, who runs the Insight Garden Program at San Quentin, suggests that it is $1.70 per day. She spent 5 years negotiating with San Quentin to implement a vegetable garden, the produce from which is donated to local charities and prisoner's families because "in a prison, everyone has to have access to the same thing." Homegrown vegetables do not get a place on prisoner plates. 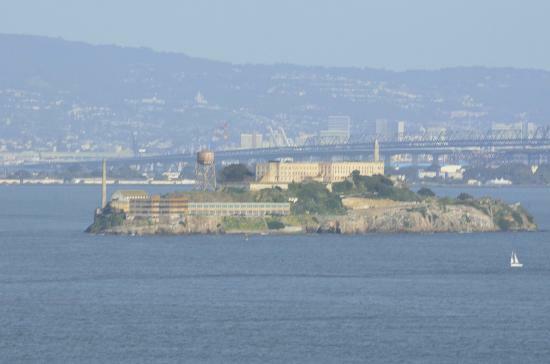 There are four sources of food for the inmate population at San Quentin. First, is the food provided by the taxpayer. This is served in the Chow Hall at "chow times" which include a 5:30am breakfast and 5:00pm dinner, and a bag lunch. Breakfast usually consists of ½ pint milk carton with cold cereal or one of three types of hot cereal; oatmeal, grits or cream of wheat. At least three times per week they serve fried, scrambled, or boiled eggs with hashbrowns and a ¼ pint carton of apple or orange juice. On other days it is pancakes, waffles, coffee cake or biscuits and gravy. Dinner consists of a lot of stews, casseroles, and pasta dishes with “mystery meat” made from soy protein. Popular dinners, however, are made with real meat; baked chicken leg quarter known as “chicken on the bone”with rice, pasta, or beans, roast beef with mashed potatoes and gravy, and fried fish patties with mac and cheese. Sack lunches are picked up at breakfast to be eaten whenever and included sandwiches, baby carrots, fruit and nuts. A second source of food on the San Quentin campus, is the Canteen. There prisoners can purchase junk food like chips, candy, and ice cream, condiments, single serving meats, canned beans and stew, tuna and summer sausage. These items are charged at approximately twice the outside rate and of course only prisoners who have money from a prison job or from family and friends can buy at the Canteen. Quarterly Packages which an inmate can receive as stated, four times a year, can contain up to thirty pounds of food similar to that in the Canteen, but at better prices. They are the third source of food at San Quentin and can be "purchased directly by the inmate “off his books”, or through his family on the outside." Finally, there are Food Sale Fundraisers that occur once a month. Inmates, sponsored by state prisoner employee groups, buy food from Costco and chains like Roundtable, Carl's Jr. and McDonald's and sell it to other inmates at higher prices to fund group supplies or charities. Food from local ethnic restaurants are also sold at the event. There are 39 reviews of San Quentin on Yelp. These are primarily from people who went on tours of the prison. Some of them ate there. I wonder if they were really eating the same food as described by the San Quentin T.R.U.S.T.? Labels: diet meals , Food Politics , food sources prisoners , prison food , San Quentin , San Quentin T.R.U.S.T.